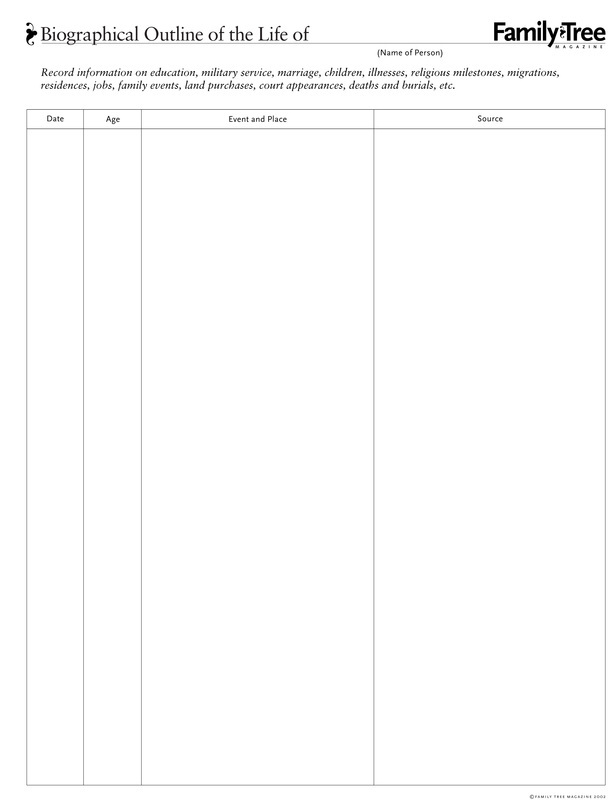 Blank form to record chronoligical details about an ancestor's life. A timeline of all events documented for an ancestor. This will be used in conjuction with other historic timelines to put the ancestor's life events into a larger and more meaningful context.